Apex Legends is an FPS battle royale game which pits 20 squads of 3 against each other with the last team standing being crowned the winner. Unlike other battle royale games such as Fortnite and Player Unknown’s Battlegrounds, Apex Legends adopts a class-based system with each character possessing different abilities. Show more. The game’s interface and style has clearly been positioned to help encourage an active esports scene. 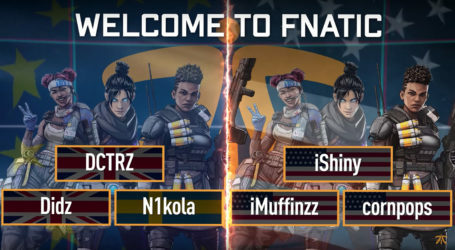 It is likely that Apex Legends betting markets will become available in the not too distant future. 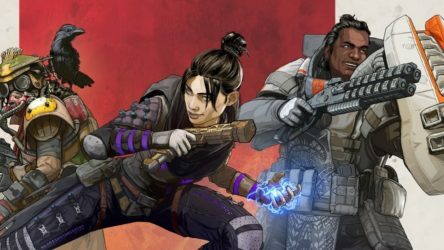 Apex Legends was released by Electronic Arts and is free-to-play on the Origin marketplace. Apex Legends does not currently have an official league or upcoming majors and therefore any match odds shown will only be available from grass roots tournaments. Bookmark this page in order to find the best available odds for Apex Legends once the competitive scene develops. Show less. Any bookmakers providing betting markets for Apex Legends can be found below. 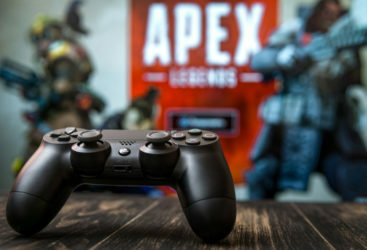 The game, which was launched in February 2019, has not yet opened any betting markets and no betting providers have yet stated whether they will be offering Apex Legends betting. Be sure to revisit this page to find the latest esports bookmakers who offer markets for this groundbreaking battle royale game. When markets do become available for Apex Legends, a list of esports betting bonuses will be shown below. These bonuses will range from free bets through to deposit bonuses and welcome packages. Bonuses can be withdrawn through placing bets, however terms and conditions vary across different bookmakers. It's recommended that players read our guide to unlocking an esports bonus before deciding on where to deposit. Betting markets can vary from simple match winner bets through to more complex options such as first blood and longest kill. While the betting markets for Apex Legends are not yet known, some of the markets that we expect to find can be found below. It is likely that the betting markets for Apex Legends will develop as the game’s competitive scene progresses. This new and exciting addition to the battle royale genre is just getting started. Follow the latest news on this blockbuster game! There have not yet been any tournaments announced for Apex Legends however that is likely to change as investment begins pouring into the competitive scene. It is expected that Apex Legends will have a league running throughout the year with matches being streamed live on Twitch.tv.